Grease Trap Installation in Plant City, FL | Southeastern Septic LLC. When you allow us to handle the grease trap installation process for you, you prevent buildup from accumulating in your Plant City, FL septic system. Fats and greases are your septic system’s worst enemies. 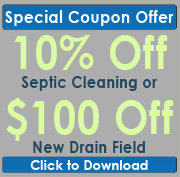 Although you probably try to keep these substances out of your septic system, sometimes, this just isn’t enough. If you’ve decided to invest in a grease trap system for your home or business in Plant City, Florida, we hope you’ll let us at Southeastern Septic LLC install it. When you allow us to handle the grease trap installation process for you, you prevent buildup from accumulating in your septic tank, drain field, and drains and wreaking havoc on your septic system. Although you shouldn’t purposefully let grease, fats, and oils go down your drains even if you have a grease trap, this device provides you with a second line of defense against inconvenient blockages. There are several reasons why you should turn your grease trap installation needs over to us. First, we’re efficient. When we come to your home, we’ll get your new grease trap installed and ready to go in hardly any time at all. Second, we’re affordable. We strive to keep our rates for grease trap installation and our other septic services competitive. Last, and arguably most importantly, customer satisfaction is our #1 priority. If you’re not happy with our work and the overall installation process, our job isn’t done. Don’t let just anyone handle your grease trap installation project. Instead, let us take care of it and provide you with reliable, affordable, and customer-oriented service. Give us a call at Southeastern Septic LLC to find out more about our grease trap installation process. We offer reliable and professional grease trap installation in Auburndale, Bartow, Lakeland, Zephyrhills, Mulberry, Polk City, Winter Haven, Plant City, and Polk County.